as a U.S. Army Sergeant First Class (Ret.). Carlo and his dog Benny are both right leg amputees. Sergeant First Class Carlo Adame served in Iraq and is now defining the odds to pursue his love for baseball and softball. He plays with a prosthetic leg alongside former major league players and fellow baseball compadres. 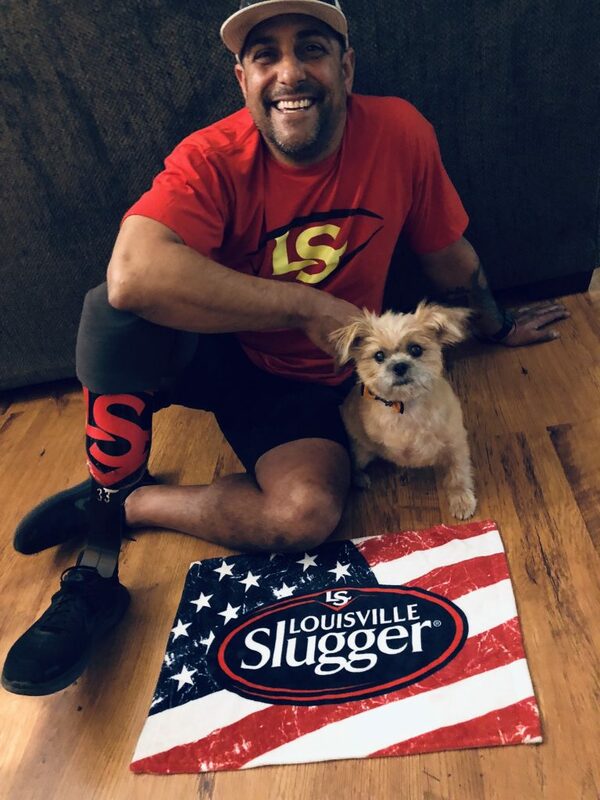 For him, the Louisville Slugger Warriors National Amputee Team means a lot more than just playing baseball. The Louisville Slugger Warriors are a competitive softball team made up of highly decorated U.S. Military Veterans and Active Duty personnel with physical and invisible wounds. Adame played for Rancho Bernardo High School in San Diego, when it was ranked the No. 1 high school baseball team in the country. He then went on to play college baseball at San Diego City College before enlisting in the U.S. Army.